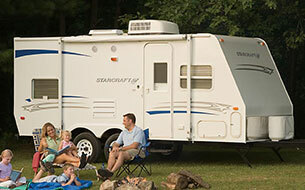 Guaranty RV Rental is not associated with RVshare. 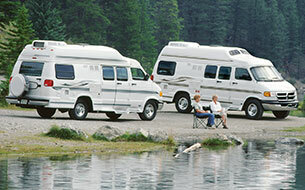 This page is simply a resource, providing more information on all RV rental options, including Guaranty RV Rental. If you’re looking for a road trip destination, you can’t do much better than the beautiful Pacific northwest. From redwood forests to stunning coastlines, wine tasting to skiing or just exploring downtown Portland, you’ll spend your time both in awe of the natural beauty around you and infinitely entertained. There’s just so much to explore out there! And since the landscape is such a huge part of the attraction of this area, driving is definitely the way to go. Why not bring all the comforts of home along for the drive? RVing lets you see the countryside at your own pace, with the added bonus of bringing along your very own bed, couch, kitchen -- yes, even the kitchen sink! It’s also one of the most affordable ways to travel. Campground fees are often minimal, and if you’re more adventurous, you can try “boondocking,” or parking without a hookup for electricity and water. That means you’ll just pay for fuel, liquid propane gas for your generator and, of course, food. … But first, you need an RV! If you don’t have an RV of your own and you’re not quite ready to buy one, you’ll probably need to rent one (unless you’ve got some very generous camping friends)! There are tons of places to rent a perfect RV for your dream vacation, no matter how long you’re planning to hit the road for. 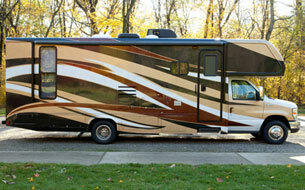 Thinking About Renting an RV From Guaranty RV Rentals? 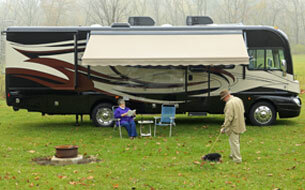 Guaranty RV Rentals, for example, is Oregon’s largest RV rental facility. Headquartered in Junction City, Oregon, it’s about a twenty minute drive from downtown Eugene, Oregon. 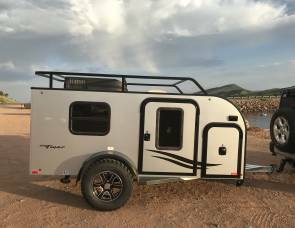 You’d be able to select a camper to fit your needs and budget. 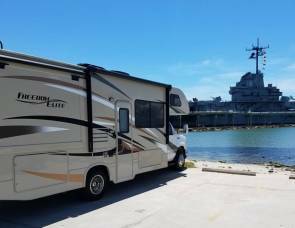 According to the company’s website, its rental fleet “includes a wide variety of RV types, from travel trailers to luxury motor coaches, including an Ability-Equipped Class A.” They also provide free on-site parking for your non-rental vehicle during your vacation. However, renting with them could be time-consuming. Guaranty RV Rentals suggests renters set aside 90 minutes on their departure day to fill out paperwork and undergo their new driver orientation. While Guaranty RV Super Centers carry a large selection of rigs, there are other options out there if you’re looking to find a great rental in Oregon. 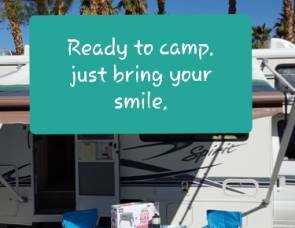 For instance, RVShare is the largest such peer-to-peer RV rental marketplace. It’s kind of like Airbnb or Uber: Private owners list their own RVs for rent when they’d otherwise be collecting dust. As a renter, you’d select from an assortment of privately-owned RVs in the Eugene, Oregon area. 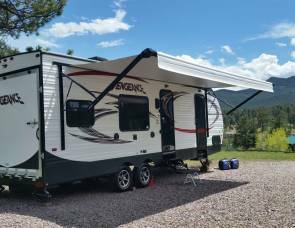 Since these rigs are owned by regular people, they’re usually much more affordable -- not to mention homey! In fact, many RVShare rentals are available at a fraction of the price they ask at Guaranty RV Travel Center. If you want to walk through a sales lot full of RVs, renting in person at a dealership is still an option. They do offer a lot of different choices… but you’ll need to make sure you’re getting the best bang for your buck. One of the best ways to decide whether or not you should rent from a given company is by reading its reviews. According to Yelp, Guaranty RV Supercenters have about four out of five stars, with many satisfied customers, but some who expressed problems with Guaranty’s customer service. It’s also good to note that many of the reviewers were there to buy an RV or have their RV serviced, rather than rent an RV for a trip. “... We definitely recommend Guaranty RV for your RV purchase. They even helped us with the trailer brake controller installation as well as how to use the 'Head and Bars" leveling system coupled up to our Chevy Tahoe.” -- Guy R.
“... The sales and finance folk were stellar… We paid six figures for our used RV and couldn't have been happier with the process. So, 5 stars for sales. But, zippo, nada, negative for service, so 1 star overall.” -- John S.
If you want to know more about customers’ experience with Guaranty RV Travel Centers, you might try asking any friends you have in the Eugene, Oregon area who regularly camp. RVers often form tightly-knit communities, and are always happy to help a new camper out. Guaranty RV Rentals is headquartered in Junction City, Oregon, a short drive from Eugene. The company serves Oregon, Washington, Idaho and Northern California. They also have a variety of satellite locations offering RV sales and service, as well as customer care, in the same Junction City, Oregon area. But you can bypass the drive and browse rigs online if you rent through RVShare. Better yet, you’ll deal with a regular person -- not a salesman.